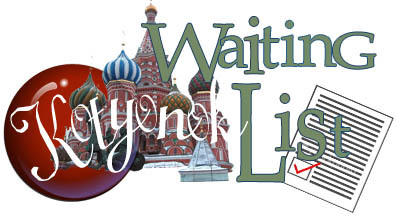 Kotyonok Siberians Waiting List Form provides a standard waiting list form for all present and future litters. Being on the Waiting List gives you priority on that special kitten you may be looking for. When someone on the list wants to pass on a kitten or a litter, you may choose to wait for another litter and someone else on the waiting list will get next pick. Kittens are first come first serve basis, therefore the Waiting List guarantees you exactly what you are looking for. We urge you to fill out the Waiting List Form today and let us help you get your request processed on one of our lovely Siberian KIttens. You will receive a response within 72 hours of your request. There is a non refundable deposit for Pet Qualtiy Kittens as well as Breeder and Show Quality kittens. Please contact us for details. Please complete a waiting list form or email me directly for future litters. Website, all content Copyright © 2005-2019 Kotyonok Siberians. All Rights Reserved.